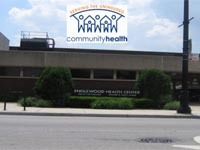 Throughout its 18th year history, as it has expanded its range of services and programs to become the largest free clinic in Illinois, CommunityHealth has been guided by its original mission – to provide the highest quality care (at no cost) to as many low-income uninsured individuals as possible who are in need of a medical home. Today, CommunityHealth provides medical (both primary and specialty) and dental care — as well as mental health and health education services — to over 8,000 patients in more than 25,000 visits each year. All services are provided by over 400 volunteer providers (physicians, nurses, pharmacists, dentists) who donate their time and talents. We also relay on the generosity of private donors (foundations, corporations, institutions, individuals) who invest in our mission. For every $1 donated to CommunityHealth, $.96 goes directly to patient care. In today’s economic climate, the disparities in access to health care are growing – especially in underserved areas of Chicago’s south side. CommunityHealth is committed to addressing these disparities. As a part of this commitment, and thanks to the leadership of the Washington Square Health Foundation, CommunityHealth opened its first ever satellite site in the underserved neighborhood of Englewood in September 2010. This facility, located in the Chicago Department of Health’s Englewood Health Center, is modeled after the organization’s West Town location in both volunteer structure and services offered. The newly renovated first floor health center has 8 exam rooms, a lab and dispensary for medications, as well as a classroom for health education. The lower level, to be renovated in early 2011, includes four dental operatories (three of which are currently in operation) and a lab.